A variety of parameters including mineral leaching process, ore types and chemicals are involved in the water treatment process while other important factors in the end of the leaching process are determined by the slurry/decant water quality. Mining wastewaters contaminants vary. Among those contaminates are different types of cyanides, heavy metals, different anions/captions and organic matters. P2W constructs and operates around the world its single integrated systems that have the ability and the capacity to treat those contaminants, thus saving the clients a lot of capital on operational costs. This single integrated system is operated by a single and central control system that gradually remove and destruct all the contaminates until they reach the required levels of the regulatory agencies. The core technology of the company is based on patented electrochemical processes that responds only to electrical currents, which stimulates different metal electrodes that remove and destruct all the relevant pollutants without using any chemicals in the process. P2W’s global business philosophy and strategy is to design, construct, commission and operate the Waste Water Treatment Plant. This allows the mines to focus on their mineral leaching process while P2W handles all of the mine’s water and wastewater challenges. One of the important divisions in each plant is the quality control (QC) labs. 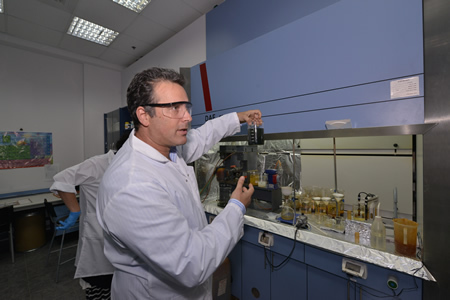 The primary goal of the QC lab is to provide immediate and accurate results of the quality of the water that goes through the treatment process. Water parameters (such as conductivity, pH, turbidity, color and heavy metals, sulfates and cyanide contaminations) change during the treatment process. Monitoring those changes allow us to be in full control of the process in the plant, starting from the initial feed water, continuing to the intermediate states and ending at the end product. The QC labs in each site are equipped with different laboratory equipment that allows us to test and monitor different parameters in the water. In the field we have different online analyzers that give us on line results for the basic parameters such as: conductivity, pH, turbidity, volts, ampere and more critical parameters. 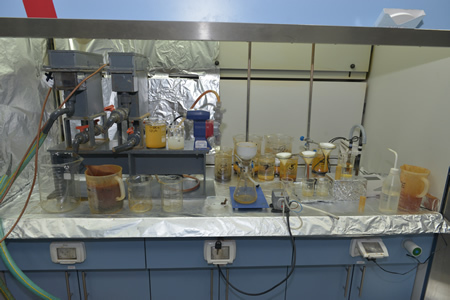 We have also advanced Cyanide (CN) on line analyzers that monitor on-line the Cyanides concentration during the process. We also do comparison tests with eternal labs periodically. The R&D department is the key to the future success of any company; therefore a lot of human and financial resources are invested in R&D activities. We build and operate mobilized pilots from different flows per the requests of the client. The main R&D studies are done in Israel with the support of the different R&D units in Ghana. The R&D is done according to the market demand and changes in the regulation. One of the latest achievements was to find solution to the AMD problem in SA. 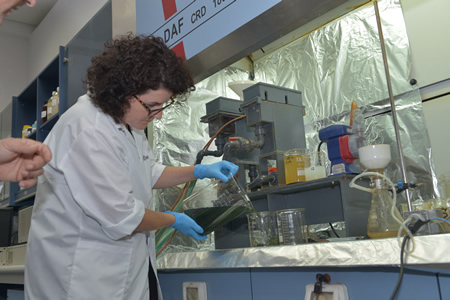 The labs and R&D is managed by Dr. Raya Kovarsky in Israel and by Mr. Selorm Debra in continental Africa.